Southern Illinois Soccer League is now part of the SLYSA organization. 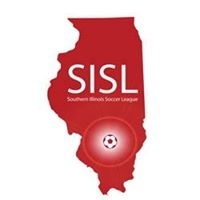 The Southern Illinois Soccer League (SISL) supports Illinois based travel soccer teams in the Metro East and Southern IL. Information regarding SISL programs, rules, forms and fees can now be found on this page. We are proud to announce that Southern Illinois TOPSoccer is returning to the area. Starting in August of 2016 TOPSoccer will have locations in the counties of Madison, St. Clair, and Jackson, IL. TOPSoccer, is a community based program for athletes with disabilities to learn and play the game of soccer. The program is organized by John Bowen and Kendra Kauhl, who live in Collinsville, IL. They have two young boys with Autism. It all started with their oldest son always wanting to play on his Daddy's team. As they started looking for clubs and leagues for their boys to play in, they quickly realized that the options were not there. With John coaching club and high school soccer, and on the board for Southern Illinois Soccer League, he knew about the TOPSoccer program. Together they decided to restart the Southern Illinois TOPSoccer program for all in the Southern Illinois community. We hope that all of the soccer community will come together and share the passion that we all have for this game with these amazing individuals. The Southern Illinois Soccer League (SISL) which supports Illinois based travel soccer teams in the St. Louis and Carbondale areas now has a TOP Soccer program available for players with mental and physical disabilities who want to play soccer. The Outreach Program for Soccer (TOP Soccer) is a community-based training and team placement program for young athletes with disabilities, organized by youth soccer association volunteers. The program is designed to bring the opportunity of learning and playing soccer to any boy or girl with a mental or physical disability. Our goal is to enable the thousands of young athletes with disabilities to become valued, successful members of the US Youth Soccer family. Practice and game sessions are 90 minutes long and are held once a month throughout the SISL playing season (September - May). An annual participant fee covers insurance, T-shirt and end of season award.